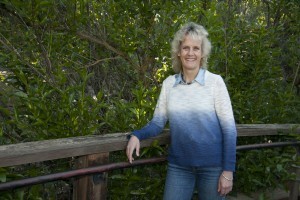 Dr. Alison Van Eenennaam is a Cooperative Extension Specialist in the field of Animal Genomics and Biotechnology in the Department of Animal Science at University of California, Davis. She received a Bachelor of Agricultural Science from the University of Melbourne in Australia, and both an MS in Animal Science, and a PhD in Genetics from UC Davis. The mission of her extension program is “to provide research and education on the use of animal genomics and biotechnology in livestock production systems”. She has given over 600 invited presentations to audiences globally, and has appeared on national media including the Dr. Oz Show, Animal Planet, and the December 2014 Intelligence Squared Debate on genetically modifying food. She has served on several national committees including the USDA National Advisory Committee on Biotechnology and 21st Century Agriculture, (2005-2009), and was a temporary voting member of the 2010 FDA Veterinary Medicine Advisory Committee meeting on the AquAdvantage salmon, the first GE animal to be evaluated for entry into the food supply. Dr. Van Eenennaam was the recipient of the 2010 National Award for Excellence in Extension from the American Association of Public and Land-Grant Universities, and the 2014 Borlaug CAST Communication Award. In 2017 she was elected as a Fellow of the American Association for the Advancement of Science (AAAS). Follow her on twitter at @BioBeef.